If cities are the engines of economic growth, an efficient transport system is the oil that prevents these engines from seizing up. With that said, one of the features that should define the future of our cities is a sustainable transport. Urban transport is undeniably an indispensable component of city life that should be taken into account when planning for the future of cities. 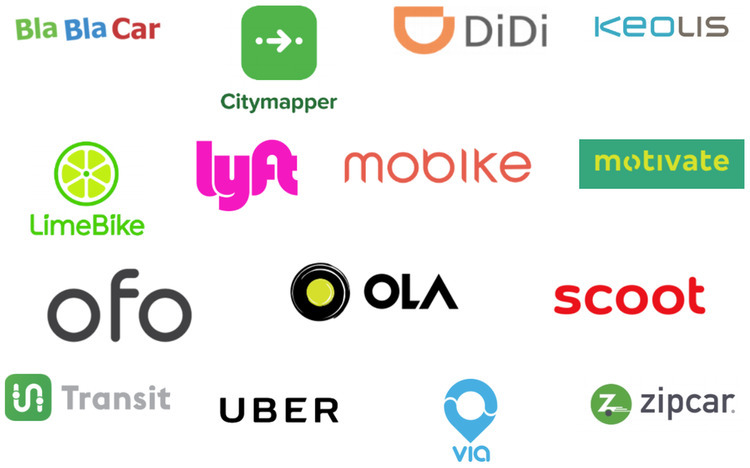 Aware of this fundamental truth, 15 mobility and tech companies inked their consensus for the Shared Mobility Principles for Livable Cities. These 15 companies account for 77 million passenger trips per day and inform the travel decisions of 10 million people each day. Principle 1. Plan cities and mobility together. Development, urban design and public spaces, building and zoning regulations, parking requirements, and other land use policies are to be worked out in conjunction with transport and mobility. Principle 2. Focus on moving people, not cars. The mobility of people and not vehicles shall be in the center of transportation planning and decision-making. 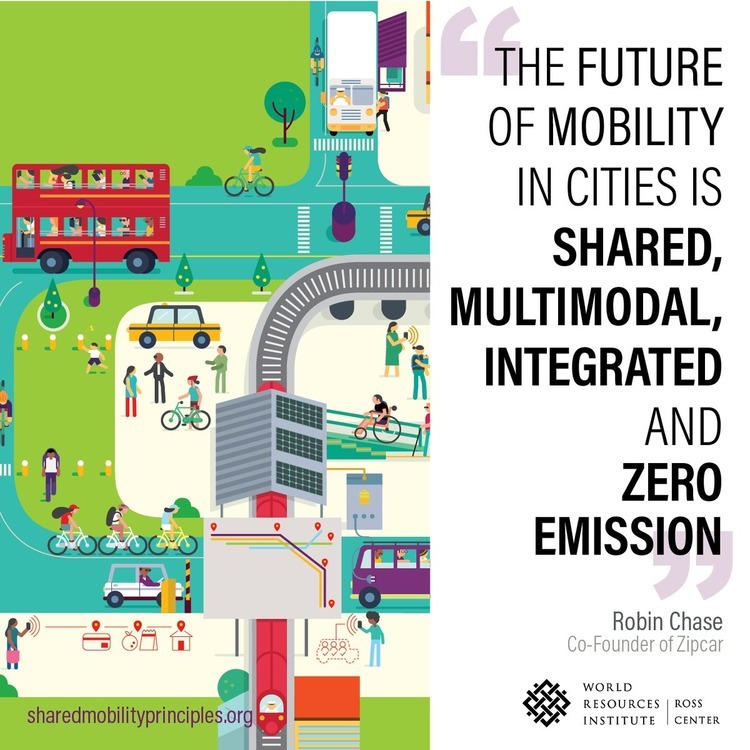 Cities shall prioritize walking, cycling, public transport and other efficient shared mobility, as well as their interconnectivity. Principle 3. Encourage efficient use of space and assets. Minimize the street and parking space used per person and maximize the use of each vehicle. Overbuilding and oversized vehicles and infrastructure and oversupply of parking are to be discouraged. Principle 4. Engage stakeholders in decision-making. Actively engage residents, workers, businesses, and other stakeholders who may feel direct impacts on their lives, their investments and their economic livelihoods the unfolding transition to shared, zero-emission, and ultimately autonomous vehicles. Principle 5. Design for equitable access. Physical, digital, and financial access to shared transport services are valuable public goods and need thoughtful design to ensure use is possible and affordable by all ages, genders, incomes, and abilities. The companies likewise stressed the importance of zero emission transport, fair user fees, use of open data, seamless connectivity and shared automated vehicles. Principle 6. Transition towards zero emissions. Public transportation and shared-use fleets will accelerate the transition to zero-emission vehicles. Electric vehicles shall ultimately be powered by renewable energy to maximize climate and air quality benefits. Principle 7. Seek fair user fees. Every vehicle and mode should pay their fair share for road use, congestion, pollution, and use of curb space bearing in mind the operating, maintenance and social costs into account. Principle 8. Deliver public benefits via open data. The data infrastructure underpinning shared transport services must enable interoperability, competition and innovation, while ensuring privacy, security, and accountability. Principle 9. Promote integration and seamless connectivity. All transportation services should be integrated and thoughtfully planned across operators, geographies, and complementary modes. Seamless trips should be facilitated via physical connections, interoperable payments, and combined information. Principle 10. Automated vehicles must be shared. Due to the transformational potential of autonomous vehicle technology, it is critical that all AVs are part of shared fleets, well-regulated, and zero emission. Urban streets are a finite and exhaustible resource. With urban sprawl and increased motorization, unwise utilization of this scarce resource could not only be damaging to economies of cities but also create negative repercussions to the lives of city dwellers. Nothing can be further from this elemental truth: a transport system that facilitates safe, efficient, and pollution-free flow of goods and people while providing for reasonable, vigorous, and integrated mobility for people not only create sustainable, resilient, inclusive and prosperous cities but equally important improves the quality of life of the urban dwellers. With initiatives like these coming from the transport sector itself, the road ahead becomes less uncertain.